I was extremely excited over break as well as my return because of how much the experiment would progress. The next phase of the project was organizing the stabilization of the water in the tanks, figuring out the specifics on our actual coral specimens, then we had to sort out how we are going to set up the platform in which we are going to place the corals, and we had to finalize plans on the lighting fixture. The first thing that happened was organizing the stabilization of the water parameters. For this to happen, we needed to do a lot of research as well as speaking with Zack about what he thought would be best for the experiment. We arrived at the conclusion that we would follow the parameters found on the LiveAquaria website at the bottom of the given page. This being said, the next thing that happened was ordering salt, abiotic substrate, and live substrate. These materials arrived during break, but I didn’t have the resources to start to install them because the materials closet was locked. But after returning from break, I put all of the salt in to the point of satisfaction (see Figures 1 and 2). The next thing that had to happen was sorting out the mounting method of the light fixture. This meant that we had to meet with the head of facilities, Mark DelNegro. However, this all went over swimmingly (pun intended) and we came to the conclusion that we would hang the fixture from above the ceiling tiles connected to the I-beam. We also decided on a particular order of bulbs in the fixture (see Figure 3). After all of the lighting and water was taken care of, we needed to plan out how we wanted to actually mount the coral specimens. 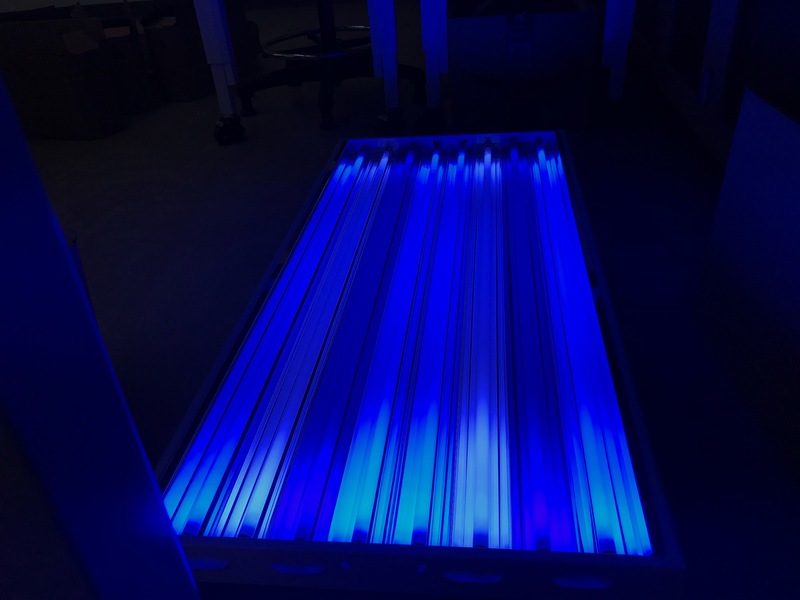 When visiting William’s Greenbank Aquarium in Wilmington, DE, I saw that he was using a very ingenious and cost-efficient method which was using a 3″ pvc pipe that was holding up a egg carton light diffuser (see Figure 4). Lastly, we ordered our coral frags from Pacific East Aquaculture. 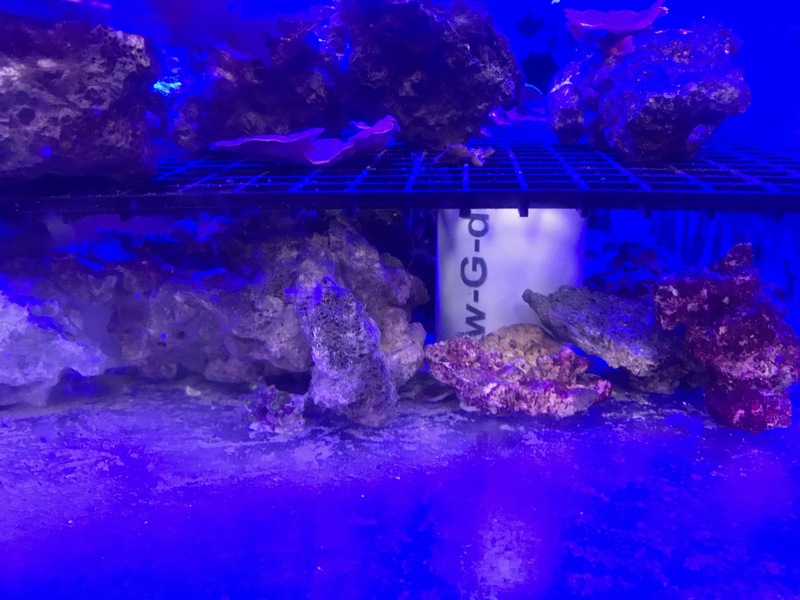 After the water is stable for around a week or two, we are going to drive down to Mardela Springs, MD to pick up the frags and introduce them to their new environment as smoothly as possible. The only obstacle we are encountering is that the heater in tank #1 is not able to raise the temperature above 81 degrees Fahrenheit which is 3 degrees lower than the target temperature in that particular tank. 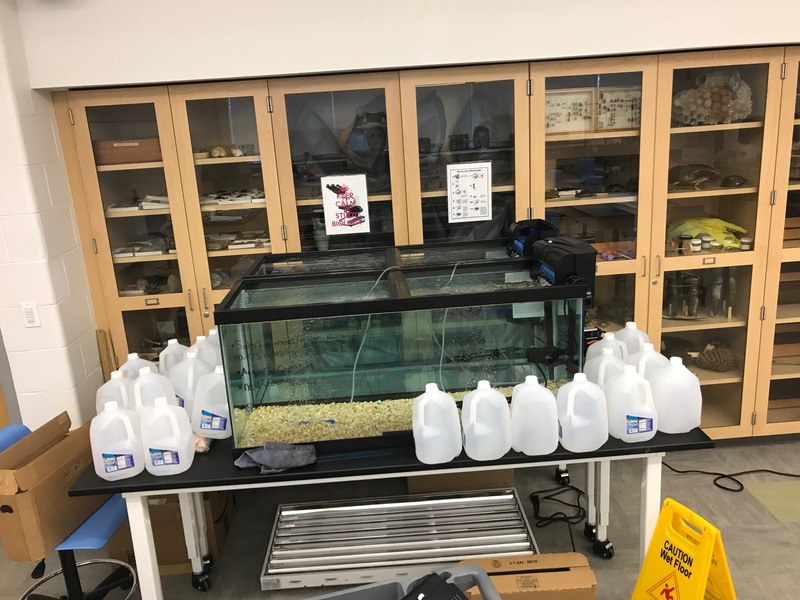 However, we are testing to see if the heater in tank #2 will be able to heat the water above 81 to see if we can just use the other tank as a our controlled tank. 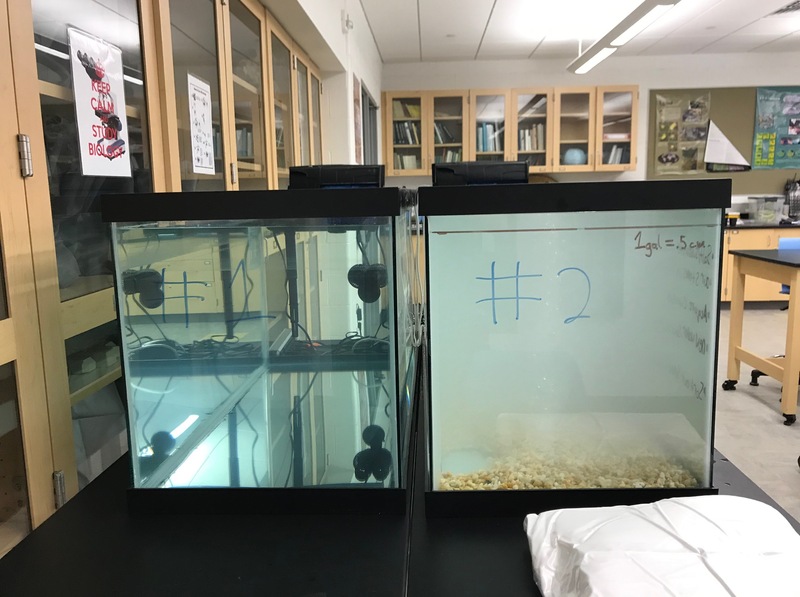 This entry was posted in Science and tagged Coral Reefs, independent study, science, westtown school on November 28, 2018 by nscavalieri. This looks great! I loved how you included the actual pictures from your experiment and not just theoretical drawings of what your experiment would look like. I also really enjoyed how you took us through your process so it made the reader feel as though they were there. Right now, I’m only wondering what is next for your project and how you are going to show your results to us! Nice job! Hi Nick, I haven’t really been following your blog posts, but since the last time I read your post you have made so much progress! It seems that all the pieces are in place and you are ready to start something amazing. I think one suggestion I have regarding the style/format of your post is that you maybe embed your images in the text when you refer to them so that it would be easier for the readers to look at them right away.